A hacker with name "D35M0ND142" claim to hack MySql.com website using Sql Injection Flaws. In September, Mysql.com was hacked and it was serving BlackHole exploit malware on the site. In a pastebin dump Hacker Exposes various Admin user credentials and Database info. The Compromised Usernames and Passwords are from Blog site of MySql. 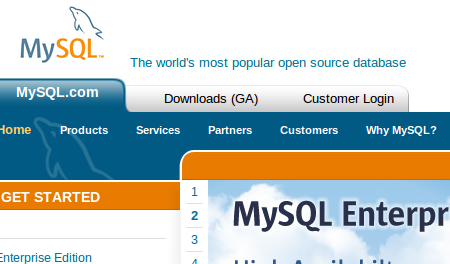 MySql website is pretty embarrassed for not securing its own database’s properly, Even hacker share that "Robin Schumacher is MySQL's Director of Product Management andhas over 20 years of database experience in DB2, MySQL, Oracle, SQLServer and other database engines. Before joining MySQL, Robin wasVice President of Product Management at Embarcadero Technologies." Besides the hack on MySQL.com, D35M0ND142 also managed to breach the systems of the Urbino University in Italy and the Universal Language & Computer Institute in Nepal and Stream Database.